I have a weakness for fancy coffee drinks but a budget that is more geared toward a stop at QuickTrip instead of Starbucks. Since I detest cheap coffee I have found a compromise by learning to make fancy coffee drinks at home with high quality beans that I grind myself. That way I get to indulge in my organic, Fair Trade dark roast coffee beans but it doesn’t cost me $5 for a fancy flavored drink with whipped cream on top! I can even make the whipped cream organic when I do it from home. So, I recently got 2 bottles of Torani Syrups to play with and decided to try my hand at a Peppermint Mocha to get me in the holiday spirit. 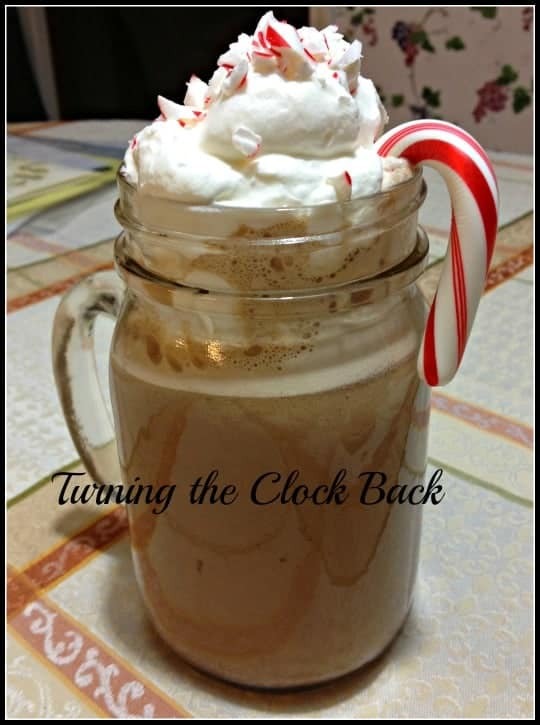 Torani has a ton of different flavors of syrups so if peppermint isn’t your thing, how about a Caramel drink that has caramel sauce drizzled over the whipped cream. If coffee isn’t your drink of choice, Torani has a ton of flavors that go great in seltzer water for a homemade soda. Those can be very refreshing in the summer. Just add a splash of Passion Fruit syrup to seltzer water and add some icecubes for a refreshing drink to enjoy on a hot summer afternoon. I have tried a number of Torani syrup flavors over the past couple of years and can honestly say that I have enjoyed all of them. I even like to drizzle them over a bowl of plain vanilla icecream! I like that they use real cane sugar in their traditional syrups but if you want a sugar free version, they have those as well. Want to buy a bottle at your local retailer? Grab a coupon! Wow that looks truly amazing!